Our dear friends Elisa and Steve found out earlier this year that they were pregnant. This was a miracle in itself, because it should not have been medically possible for Elisa to conceive. Around week 20, Elisa began having complications, which turned into life threatening complications for her and the baby. Unfortunately these complications forced her to deliver her sweet baby Ava Mae into this world at 24 weeks and 1 day, four months early. 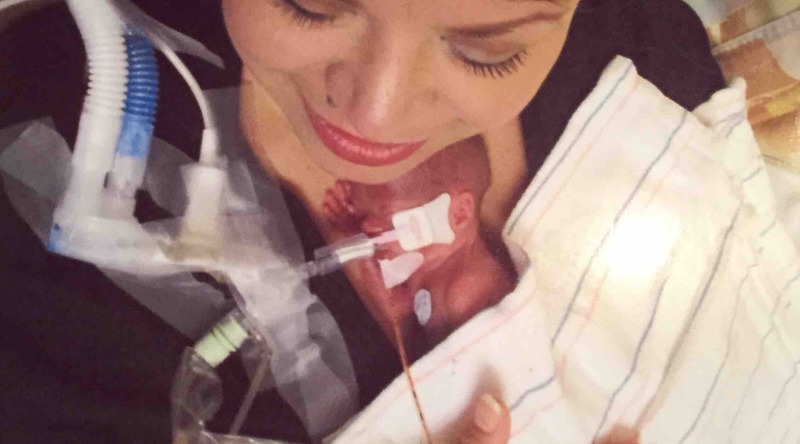 Ava is currently in the NICU fighting to survive and grow stronger every day. This has been an extremely difficult time for Elisa and Steve, knowing that their baby girl Ava will be in the hospital several more months. With their medical expenses mounting, I am reaching out to our community in the hope that we can help with the oncoming medical expenses. To help lessen the burden of this new family during this difficult time. Any donation is more than appreciated. Thank you. Dear Family and Friends, old and new. Ava Mae continues to make miraculous improvements. Thank the Lord!! We continue to pray for her health. To save her life, Ava has needed more medical intervention. Elisa and Steve’s medical bills are coming in. At the present they are owing over $150,000 and it is growing every day. Please reach into your hearts and help this family. Pray about it and please give. Ava Mae has a long way to go. Every minute, every hour, every day is a miracle and a blessing. Thank you for your prayers.